Lighting that enhances decor in ways that weren’t imaginable is what special effect lighting is all about. 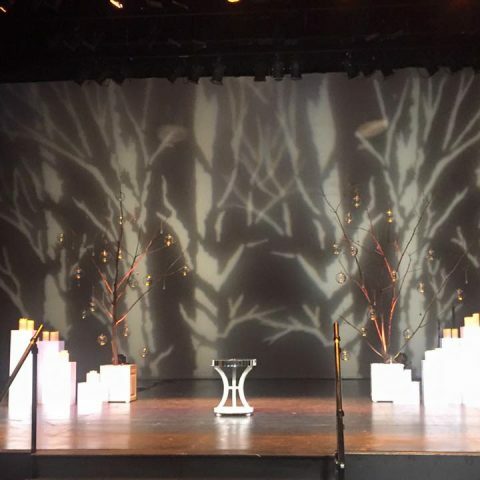 Special effect lighting by Selective Sound Entertainment will set your wedding reception apart from any other wedding your guests have attended. 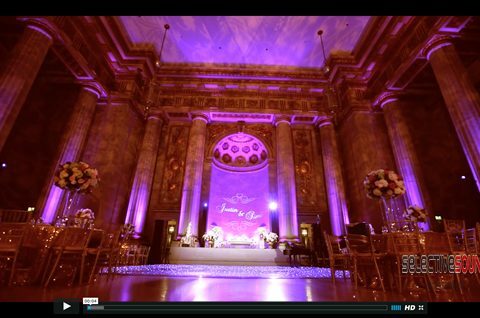 With thousands of colors and numerous techniques, we will enhance your venue like you never imagined! 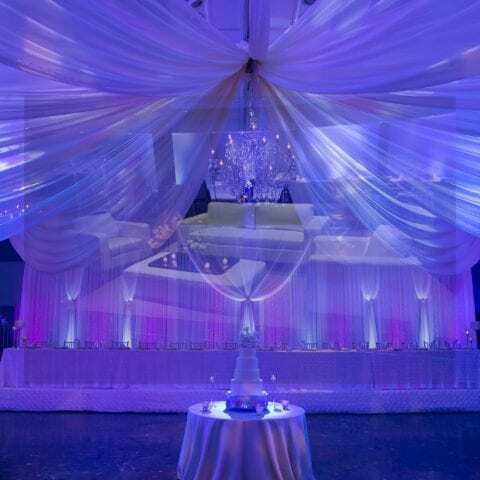 When the lights go down to set the mood you will most likely need some type of extra lighting within your venue. 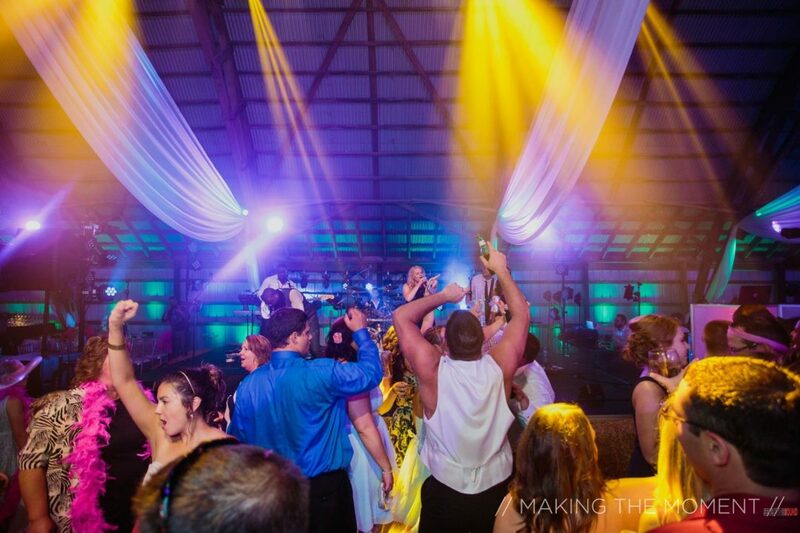 Not only will you want certain items highlighted but you will most likely want the dance floor lit up too. You will also want to create ambiance throughout. No worries! We have plenty of ways to do all of this with our special effect lighting techniques. 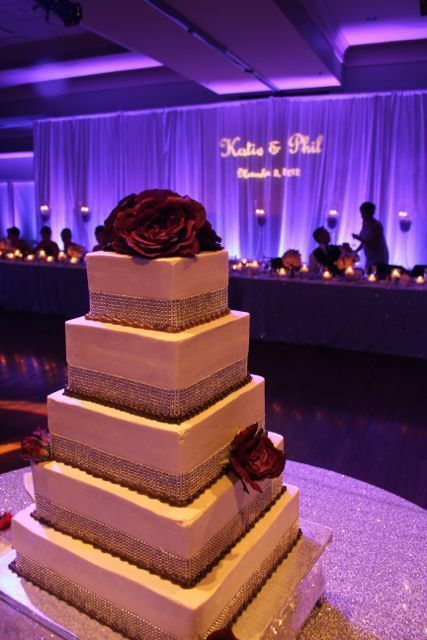 Pin spotting is a great way to accentuate things like your cake and centerpieces during the evening. 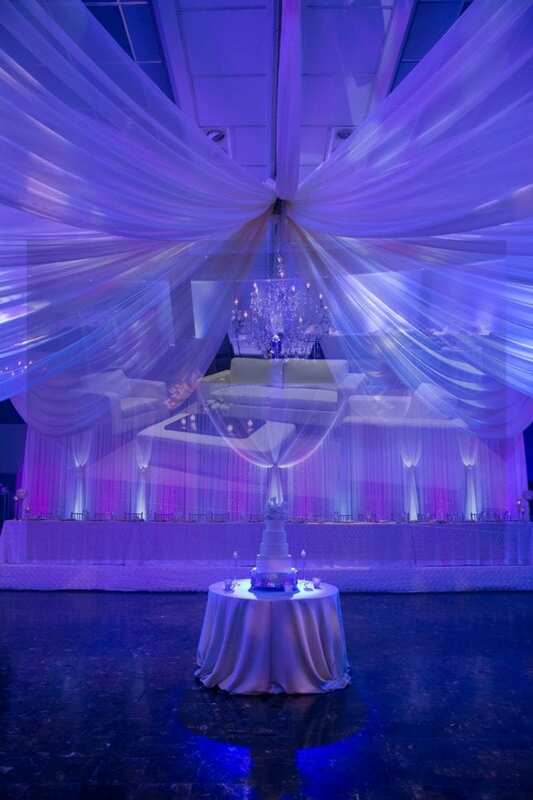 Likewise, spot lighting is perfect for enhancing your sweetheart table and ice sculpture. This type of lighting is perfect for those smaller areas that you don’t want to get lost in the shadows. 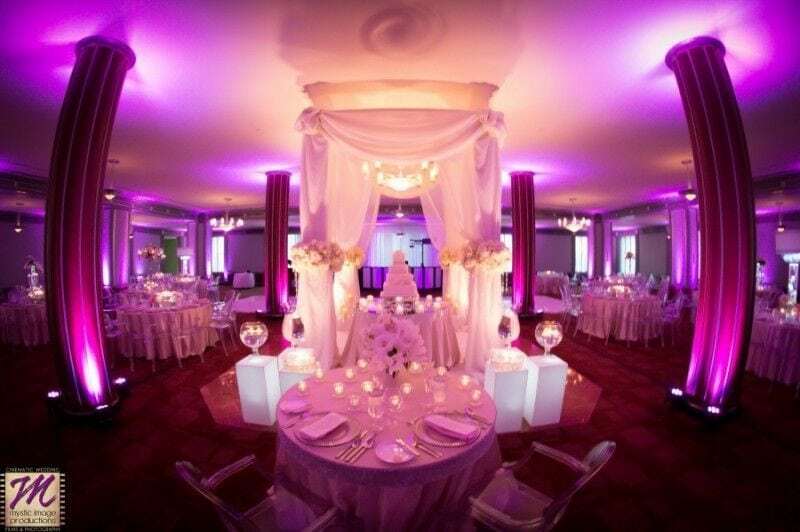 Let’s create ambiance throughout with uplighting along the walls. We have thousands of colors to choose from so we are able to customize the look however you would like. Along with a few chandeliers, your decor will undoubtedly make a statement! 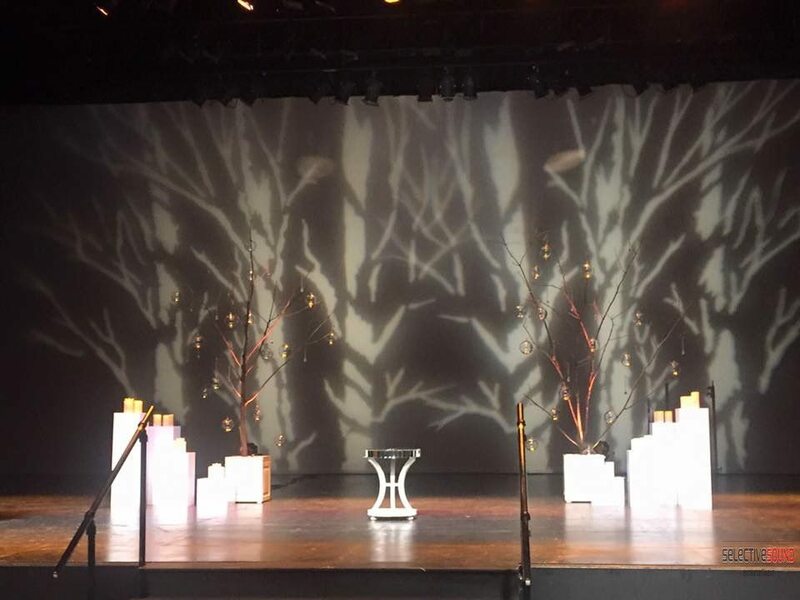 Perhaps you’re having a winter wedding and would like to add snowflakes on the walls or on the dance floor. No problem! Not only do we have a plethora of gobos to choose from but we can also create customized monograms. Due to this, you can have your own customized monogram shining behind your head table, on the dance floor or anywhere else. The above mentioned is just the tip of the ice berg when it comes to special effect lighting with Selective Sound Entertainment. Our highly trained and skilled lighting technicians are always excited to customize lighting for you as well as accept new challenges. Creativity is indeed what they’re all about. 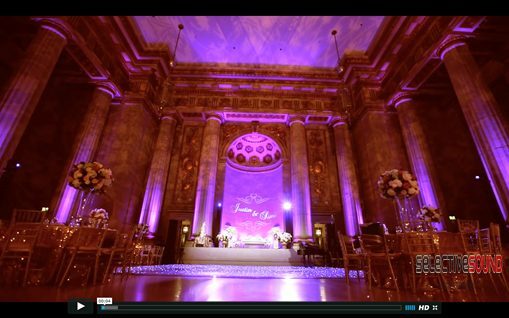 Contact us now to learn ways to “wow” your guests through special effect lighting in incredibly inventive ways!